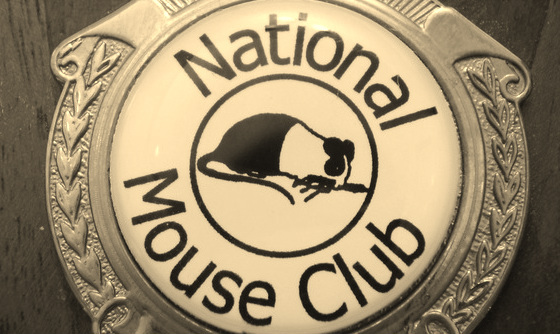 The National Mouse Club issues awards in the form of cards, rosettes, medals and trophies. Shields were previously awarded, but in late 2011, the new Cup Secretary - Sarah Yeomans - made the wise decision to replace these with colour coordinated rosettes, in Maxey red and green. These rosettes were greatly welcomed as the shields were costly. Cards are awarded to the all winners, coming in red for first, blue for second and yellow for third; green single tier rosettes are given to those who win Best Opposite Age (BOA) in section; green and red double tiered rosettes are awarded for Best in Section; medals are granted to Best in Show and BOA in Show. Trophies are given at the big shows, such as the Annual show. Thus far, Rosewood has won many cards, two rosettes (Best in Section Marked at Honley and Best Opposite Age at Halifax) and a single shield (paired with the Best in Section at Honley). Fingers crossed many more will be on the way though.